Need a fast meal that doesn’t heat up the kitchen? These pressure cooker chicken lettuce wraps are what you need! They’re also a great party appetizer — just set out a stack of lettuce leaves and let guests dig in. Ground pork will also work in place of the ground chicken. If you are making this recipe in a larger (8-quart) pressure cooker, you will need to either double the whole recipe or add another 1/2 cup of water, which can be boiled or strained off at the end. 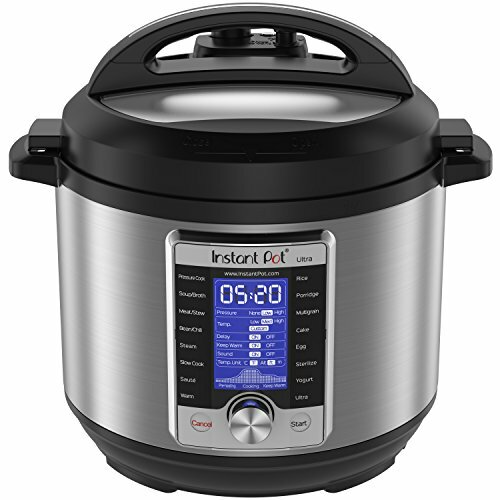 If you’re using a stovetop pressure cooker, reduce the pressure cooking time to 8 minutes. 1 Begin cooking the chicken mixture: Select the “Sauté” function on your electric pressure cooker and heat the oil. Sauté the onion, garlic, and ginger for about 2 minutes, just long enough to take the raw bite out of the garlic. Add the zucchini or mushrooms, ground meat, and water chestnuts. Use a wooden spoon or spatula to break up the meat and sauté for 3 minutes. It’s fine if the meat is not yet fully cooked through—you just want to make sure it is broken up into small pieces and mixed in with the diced vegetables. 2 Add the liquid and seal the pot: Stir in the soy sauce, oyster sauce, rice wine, and water. Quickly close the pot and lock the lid into position. Since this recipe uses a minimal amount of liquid, you want to make sure to trap as much steam as possible. When the cooking program has ended, you may either perform a quick release by moving the pressure release valve to “venting,” or just letting the pressure release on its own. 4 Serve the chicken with lettuce wraps and toppings: Use a slotted spoon scoop out some of the chicken mixture and place into the lettuce cups. Top each cup with some of the green onions, chopped peanuts, and cilantro. Serve right away. Hello! All photos and content are copyright protected. Please do not use our photos without prior written permission. If you wish to republish this recipe, please rewrite the recipe in your own unique words and link back to Pressure Cooker Chicken Lettuce Wraps on Simply Recipes. Thank you!